How to Convert AVI to Play on PS3? “I’ve been trying to play .avi files on my ps3 but won’t recognize them when i plug in my external hdd. I thought that divx plays .avi files”. Many of us might have encountered such questions mentioned above. It seems that PS can support AVI files, however, there are still lots of troubles when trying to play AVI files on PS3. Why? This post will give you more information on why sometime can’t play AVI on PS3 and how to convert AVI for PS3. Leawo Video Converter is regarded as one of the best AVI to PS3 converter since is able to convert AVI to PS3 in fast conversion speed without quality loss. 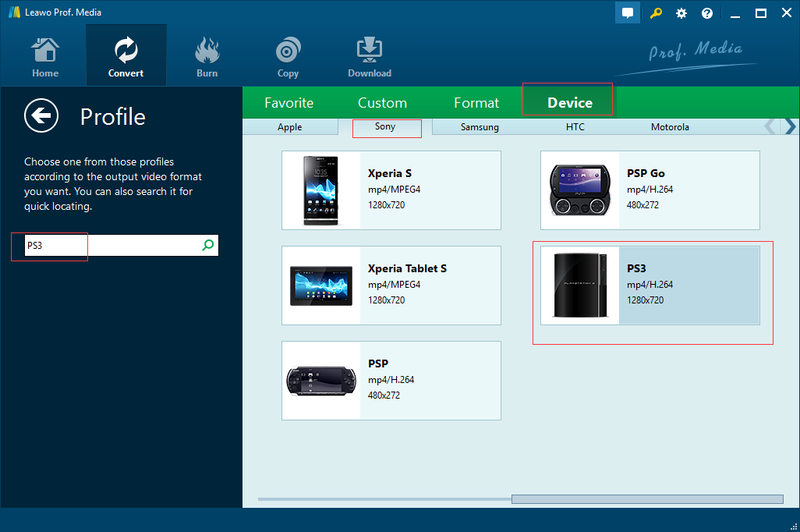 With Leawo Video Converter, you can easily convert AVI to PS3 with just several steps. Not only convert AVI to PS3, it is powerful to convert videos and audios between all popular formats like AVI, MP4, MOV, MP3, AAC, FLAC, etc. Besides, it has rich editing features. You can edit your converted files as you like. 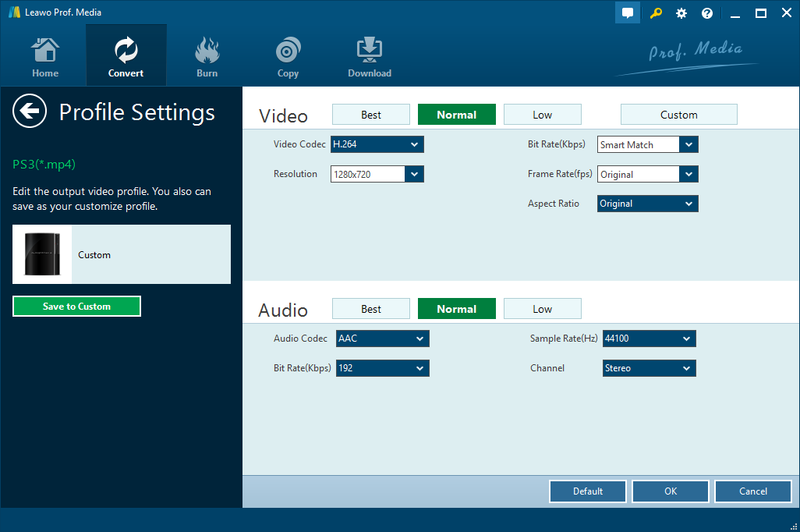 Zamzar is treated as a useful AVI to PS3 converter online since it is able to convert AVI to PS3 free and conveniently. You just need to upload your AVI files and choose “PS3″ as output format. Then you need to enter your email address to receive converted files. Finally click the “Convert” button to start the conversion. Video. online-convert is also regarded as a video to PS3 converter online free. It is able to convert videos in various formats including AVI to PS3 fast and conveniently. You need to upload your AVI files or enter URL of the file you want to convert to PS3. And then click “Convert file” button. Beside, you can do some optional settings such as Rotate video and Mirror/flip video, etc. As the examples mentioned above, there are some effective AVI to PS3 converter for us to choose from. And here I would like to take Leawo Video Converter as an example to show you how to convert AVI to PS3 step by step with the best AVI to PS3 converter. As introduced before, Leawo Video Converter is capable of converting AVI to PS3 in fast conversion speed without quality loss. 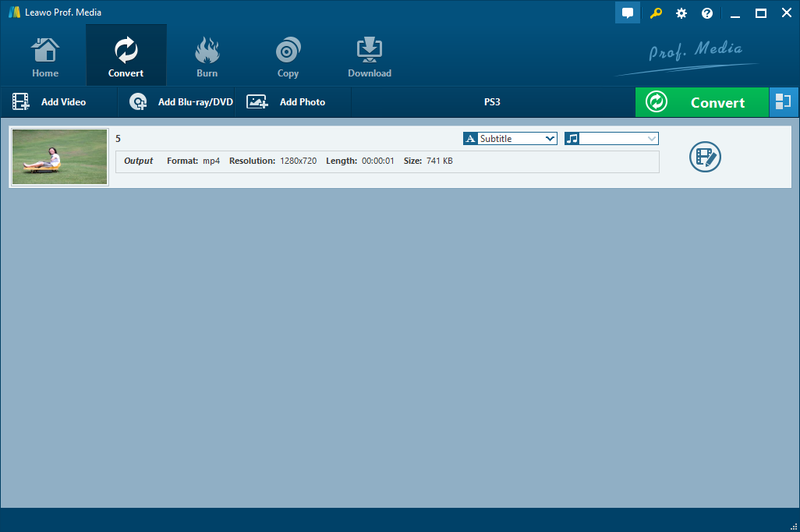 You are now able to download and install the powerful AVI to PS3 converter and then follow the guide on how to convert AVI to PS3 step by step below. Step 1. 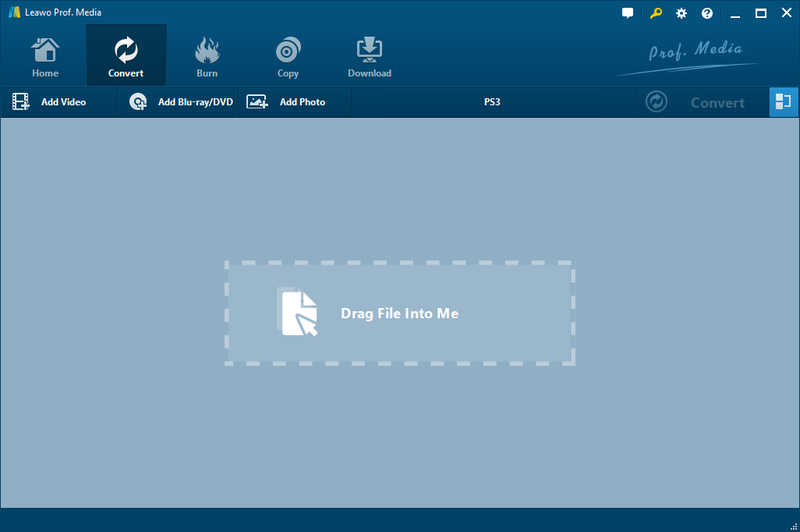 Add your AVI files into the AVI to PS3 converter. Click “Add Video” button to load source AVI files into this program. Or directly drag and drop your AVI files into the program. Turn to drop-down box on the left of green “Convert” button. Click it and select the “Change” button to enter “Profile” panel. Then choose “PS3″ under “Device > Sony”. Alternatively, you could also choose to find “PS3″ output profile by using the searching bar under the “Profile” button on the left. Note: On the drop-down box, click the “Edit” option, and enter the “Profile Settings” interface to adjust video parameters. Click the big green “Convert” button and there’s the pop-up window where you could choose your desired output directory, and then set it in the “Save to” box. After all done, click the “Convert” button to start converting. The whole conversion process would only take several minutes or seconds. Once done, you successfully finish converting AVI to PS3 and then you can enjoy AVI files on your PS3 fluently. As mentioned above, there are lots of useful AVI to PS3 converters for us to choose to convert AVI to PS3 for fluently playing. Leawo Video Converter is a highly recommended software which is able to help you convert AVI or even other formats to PS3 in fast conversion speed. AVI to PS3 converter online is also another choice. However, it has some disadvantages that you may need to know. AVI to PS3 converters online has a limitation on file sizes, sometimes you can’t upload your AVI files. Besides, it need more time to convert. Some need you to provide email address for downloading the converted files. It might cause privacy leak. Therefore, Leawo Video Converter is more effective and safe.